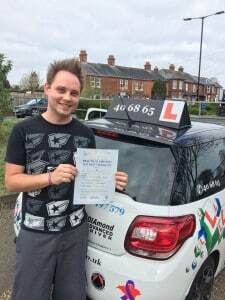 CONGRATULATIONS to Mitchell Ray on passing his driving test today Thurs 23rd April with ONLY 5 minor driving errors. This was a great result and well deserved. Looking forward to getting your Pass Plus & B-TEC in Safe Driving completed aswell.